As you guys know, I'm obsessed with the Watermelon Lime Juice recipe that I shared with you guys last week and I thought that it would be pretty cool to share with you guys how versatile the watermelon lime juice recipe is. 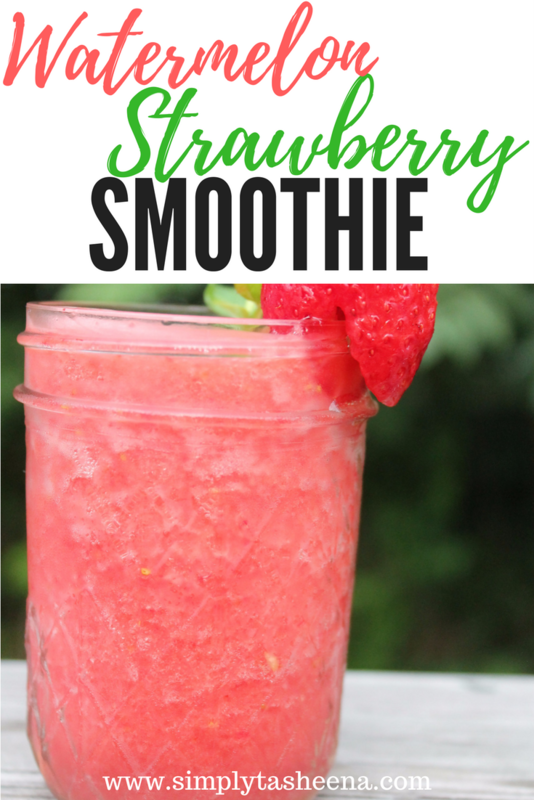 This smoothie recipe is super easy to make and it tastes amazing. I love that you can double or triple the recipe if you would like to make a smoothie for your family as well. However, if you would just like to make a batch for yourself. Follow the recipe below. I was super pleased with how this recipe turned out. It was perfect for the warm weather we were having and super refreshing! The best part is that this recipe has no sugar added and it's such a healthier alternative. Wow. This is the perfect juice that should try to make. I never had heard about making such juice of watermelon. However, I will try now. This looks awesome, thanks for sharing! Oh yes, I made this smoothie a month back and it really tasted awesome! This sounds like a very refreshing smoothie, am going to have to try it. Uses two fruits that my son will eat so could be a hit for him! Its a really awesome read! Visit this twitter page to read interesting articles https://twitter.com/edu_birdie?lang=en. Give me some thoughts too!